Admonitions to ‘earn more’ are fairly rampant in the PF blogosphere (of course, balanced by the ‘spend less’ mindset). I read all the time about bloggers’ and commenters’ side hustles and what they do with their extra money. We have not been immune to this trend, either – a few years ago, Kyle started earning a small side income from a hobby job, and when I stopped working full-time last August, I developed a variable income stream as well. I’ve observed patterns in how people choose to use their side income, and of course we’ve had to make this decision as well. The concept of a ‘side income’ is really in itself a form of mental accounting. 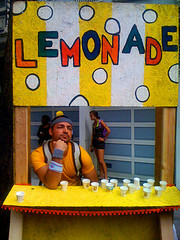 Money in fungible so all your income could be treated exactly the same, but I know I’ve found the distinction between primary and side income to be helpful in spurring me to meet my goals. And really, if you are financially performing at one level with your main income and then you add a side income, you can use that income fully to meet your next financial goal or increase your lifestyle (or both), which is very motivating. First thing’s first, though – you are likely going to owe tax on your side income, so you should set money aside to pay quarterly estimated tax or perhaps increase your tax withholdings at your main job. This is the only point that everyone with a side income must do – the rest are your option. We use a really simple calculation to determine how much to set aside for taxes, which works for us because our side income isn’t sufficient to bump us up a tax bracket. With every bit of side income we get, we transfer into our Taxes savings account 20.75% (our marginal federal tax bracket of 15% + our state flat tax rate of 5.75%) plus an additional 15.3% if the income is self-employment. If your side income situation is similar to ours, it should be easy for you to do that calculation, too: your marginal federal tax bracket + your marginal state tax bracket + 15.3% for self-employment (if applicable). Though I’ve never used my side income fully for this purpose, most PF bloggers and comments I see are using their side income to increase their net worth, either by paying down debt or by saving it all for mid- or long-term goals. I love this use of side income because you are directly working for your long-term financial health. However, this use of side income could mean that the person is not saving enough or paying down debt sufficiently with their primary income and that is why they have turned to side income to do it. That is a dangerous situation to be in: if that side income goes away, how will you increase your net worth? But if a good portion of the main income is going to those sources and the side income is gravy on top, that is amazing. We used to use side income to increase our lifestyle – after applying our percentage-based budgeting, we would put everything left into one of our ‘fun’ savings accounts, such as for travel or new electronics. This is the flip situation of point 2 – you have to take care of your net worth increases from your main income, so your side income is available just for fun. This can be really rewarding if you are living a rather ascetic lifestyle on just your main income and your side income is for your splurges. Even though I really love saving, I think I am motivated to earn more side income if I know it’s going toward something fun. However, just like in point 2, you have to be prepared for the side income to evaporate and not come to internalize those lifestyle increases into your expectations from your monthly pay. That is why we preferred to put our side hustle income toward one-time purchases rather than recurring purchases. If you have a good system for how you use your normal paycheck money, perhaps adding your side income to that pool is the best choice for it. We use a certain percentage of all of our income, main or side, for certain purposes, which we are very happy with – taxes (see above), 10% for giving, 15% for saving into retirement accounts. The rest will either be spent on normal stuff, or, if there is money left over at the end of the month, the excess will be transferred to short-term savings. Under our current system, we do sort of need my ‘side’ income, so it just is added in with the rest of our income to go toward our monthly needs and wants. This is a good solution only if you can trust to a fair degree that the side income will continue and you have savings to use if it doesn’t. How you use your side income is certainly up to you, and it’s worthwhile to examine your own personality and psychology to understand how you can best motivate yourself to earn more and meet your goals. 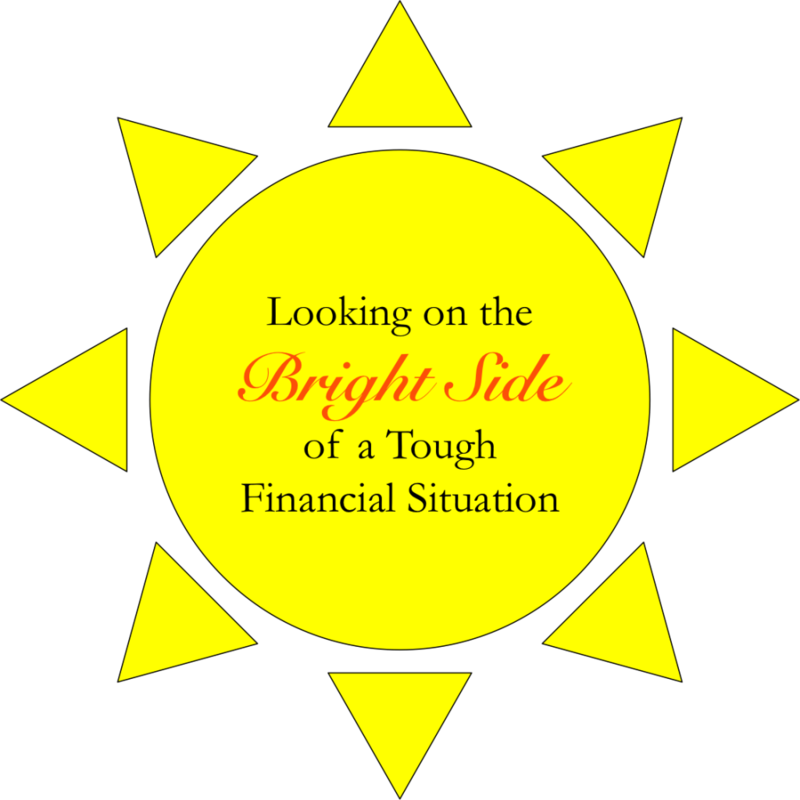 How do you handle your side income? Are you more motivated to earn more by increasing your net worth or increasing your lifestyle? 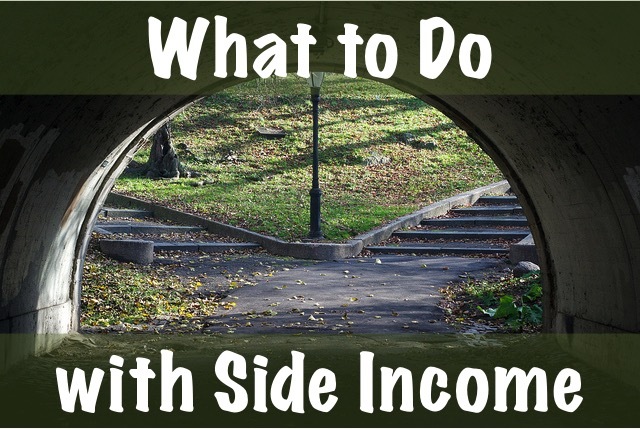 21 Responses to "What to Do with Side Income"
It just goes into savings. But it is small compared to our main income. Great boost, then! Long-term savings or another kind? We don’t separate out saving. Right now new money that doesn’t get directly shuttled into long-term saving goes into short-term saving. Next year we will have less income, so it will stay in short-term saving or get spent. After that if we’re up to double income again, we’ll have to decide what to do with excess money, but we don’t target income to specific purposes. For most of 2014, I put all my side income into my Roth IRA account. It was pretty motivating in terms of earning more, because I was just getting my retirement savings started and I liked seeing the money silt up, even only $10 or so at a time, in the savings account I use to hold Roth contributions until I have enough to make a purchase. However, I am running a *very* tight ship on my current regular paycheck; I get paid plenty but I’m putting so much into savings right now that my spending money feels really tight. So a few months ago I switched to putting side income into my “general” budget. However, instead of putting it into a fun account, I’ve been adding it to my “gremlins” fund for irregular or unexpected but necessary expenses (used most recently for passport renewal and car repairs.) Eventually, though, if I manage to get ahead of myself enough that I feel good about my cash cushion, I plan to start dividing side income into retirement and fun buckets. Do you have a certain minimum amount for a transfer to your Roth IRA? I transfer small amounts ($10-20?) pretty routinely. I think you have a great solution there – pushing yourself to save a ton and allowing your side income to put your mind more at ease about your irregular expenses. 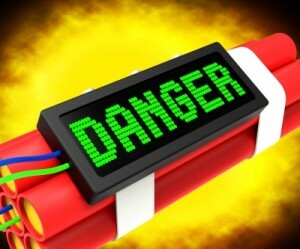 Do you have a target amount for your cash after which you will switch, or is that nebulous as of now? I’m actually not sure if there’s a minimum purchase amount or not. I just wait til I have $250 in my “Roth savings account” because… I don’t know why, really. It somehow seemed silly to make transactions any smaller than that. No target amount in particular, it’s pretty nebulous. I’m just going to see what feels right. It goes towards increasing net worth right now. Once student loans are paid off we can put more towards life. Ours just goes into the pile of “money in” from which expenses are dispersed without much distinction to its source, then the rest put toward savings. So I guess it goes directly to savings. Yeah, that seems to be the destination for most of your money. 🙂 It is the eventual destination of ours on good months, but those are not totally consistent. My wife and I have different views on side income. For me I treat it no different than regular income where I try to save 50% of every dollar that I earn. However, my wife believes that anything above and beyond her regular income that she earns is free to spend on whatever she wants. Whether it’s in the budget or not. She calls it her funny money. Very interesting but I can understand both. What happens to the non-saved 50% of your side income? My side income is for saving, nothing more nothing less. Are you saving your side income for the long-term or short-term? Great list! I like the idea of eventually funding e.g. all travel using side income (though I’m nowhere near that level yet)–basically option #2. One additional thought: you could reinvest your side income back into the project that originally produced your side income. Good point about reinvesting side income. I actually do that with our blog income – it all stays in that business account until the end of the year when I know my true income so I can use it for expenses and growth. I actually don’t have any side income! I generally donate old stuff instead of selling it. I use my time away from my full-time job to do non-income-earning activities. I do use all of my bonuses for savings though. I would say that I’m more motivated to increase my net worth than my lifestyle. Yes, these concepts can also apply to windfall money or basically anything outside of ordinary income, like your bonuses. Gets lumped into the rest of my income for me (where my side income is mostly credit card and bank bonuses). Works fine because my expenses are below my normal income. That means it eventually goes into savings, right? Yup. Ends up in Vanguard (or a bank account that I’m fulfilling a signup bonus for) by the end of the month.